Build a customised quote by clicking "Add to quote" on a building or service. You can still send through a quote without any products added. The RCLG, in partnership with ACA and other key industry bodies, has developed new environmental and sustainability best practice requirements to protect the environment and your staff complying with these is important, but it can be complex and time-consuming. 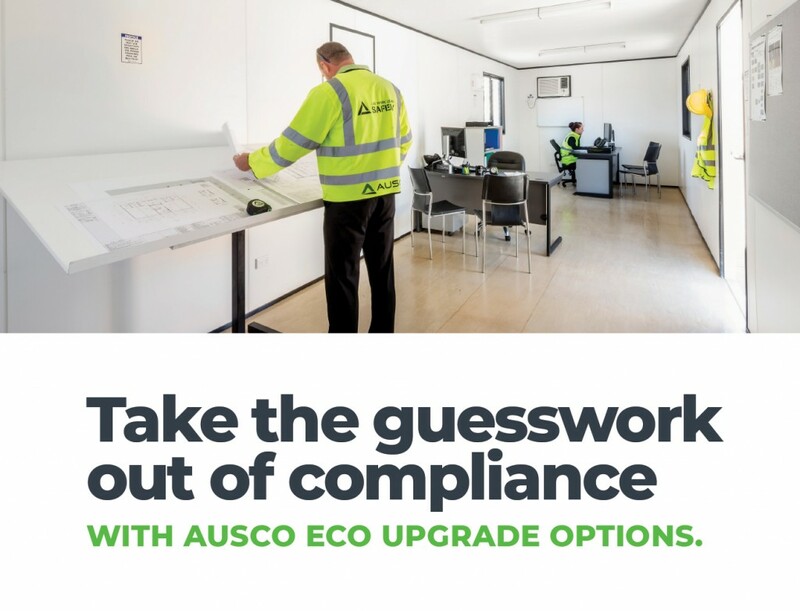 To help you meet these new requirements quickly and easily, we’ve developed a simple and cost-effective solution – the Ausco ECO upgrade option. The Ausco ECO upgrade can be applied to our existing modular building fleet and is available throughout Australia. Our ECO upgrade options allow you to choose your level of compliance based on site and project requirements. • Weather seals, and more. Contact us now for a detailed list of inclusions, pricing and more information. Ausco Modular is one of Australia's largest construction companies using modular technology. 2019 © Ausco Modular. All rights reserved.